Spring Break took on a college tour vibe this year, as we tackled my son, Harrison’s, list of California school visits. I wanted it to feel like Spring break and not all work, so I enlisted two of my favorite friends, Robyn and Anna, for recommendations in LA. They both go quite a bit, and I trust their taste in hotels, restaurants and shopping completely. I booked their recommendations for basically everything without much research, and ended up in Malibu. 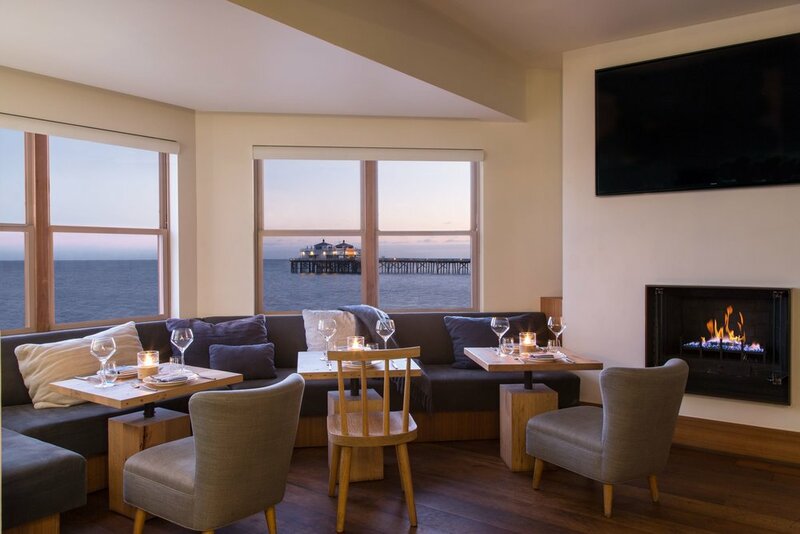 We stayed at the Malibu Beach Inn as our home base. It is a cozy, 47 room property right on Carbon Beach next to the Malibu pier. The staff at the property were super helpful and had great attitudes. I don’t know if it’s working in such a beautiful place or what fuels that, but whatever it is, it made us happy too. For dinner, we went to Nobu Malibu, by celebrity chef, Nobu Matsuhisa. Nobu became a celebrity chef on the merits of his fusion cuisine which blends traditional Japanese dishes with Peruvian ingredients. He opened his first Nobu restaurant with Robert De Niro in Tribeca, NY in 1993 and since then has opened restaurants all over the world. 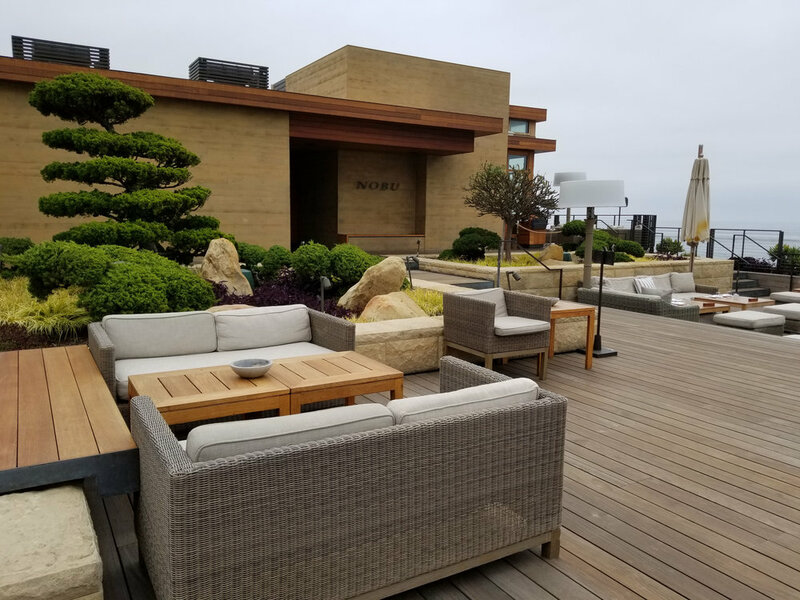 Nobu has recently branched off into the hospitality world, with a traditional Japanese ryokan right next door to the Malibu restaurant that looks stunning: Nobu Ryokan. 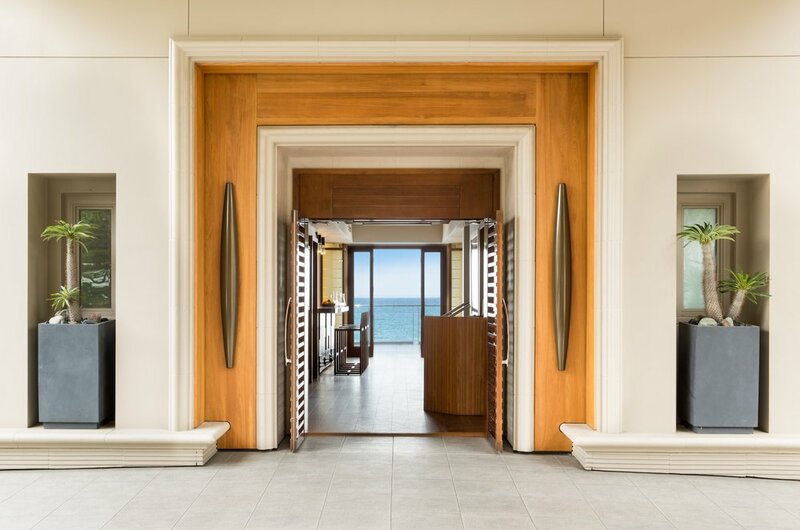 Nobu Malibu is an easy walk from the Malibu Beach Inn. I made this reservation in advance and requested the terrace. We saw more than one person politely but firmly turned away at the host stand, so I wouldn’t try it without reservations. The prices aren’t for the faint of heart but the food, cocktails and service are outstanding. And if you like a good social scene, Nobu Malibu will be worth the investment. They also serve breakfast on Saturday and Sunday from 9.00 am until 11.45 am. If we'd had another day in Malibu, we would have loved to try it. 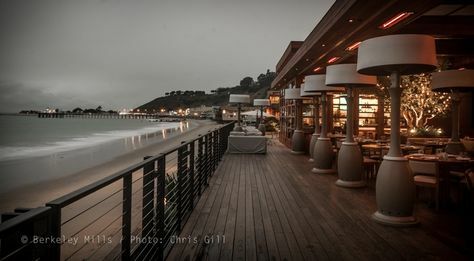 The Malibu pier has several restaurants collectively under the name Malibu Farm. We went a few times because it was quick and easy…and delicious. 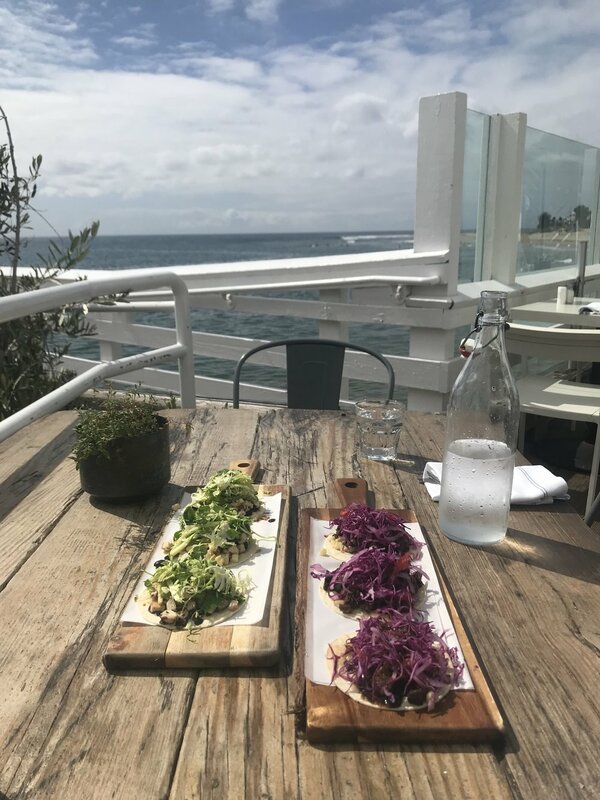 Malibu Farm Restaurant is at the beginning of the pier and has a great menu with fresh, healthy tacos, sandwiches and salads. The tables are right on the pier so you can watch the waves roll in while you drink your rosé. They are open from 11 am until 10.30 pm on weekdays, and open at 9 am for breakfast on Saturdays and Sundays. The Cafe at the very end of the pier is open from 8 am every day with a breakfast menu that is short and sweet. If you’re a fan of Bulletproof coffee like me, they serve butter coffee with MCT oil under the name The Surfrider. 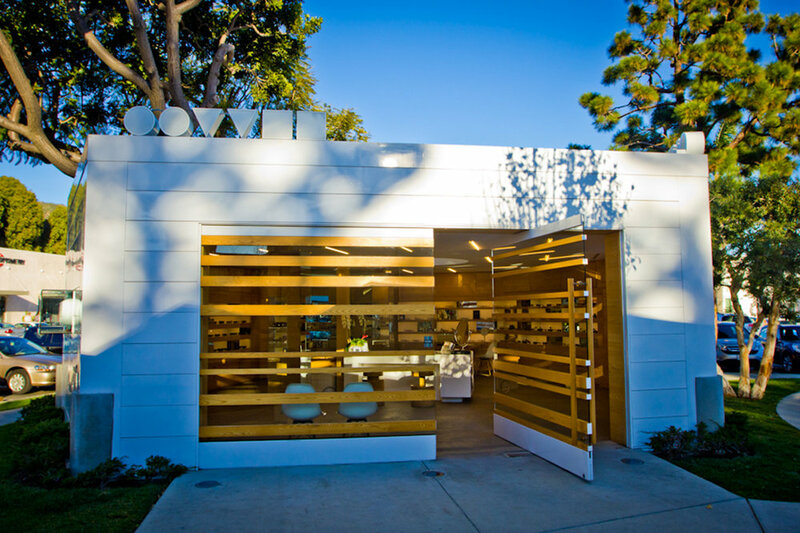 For shopping, Malibu Country Mart concentrates an impressive list of stores in an outdoor setting. They have a James Perse flagship store that embodies the Malibu vibe perfectly. 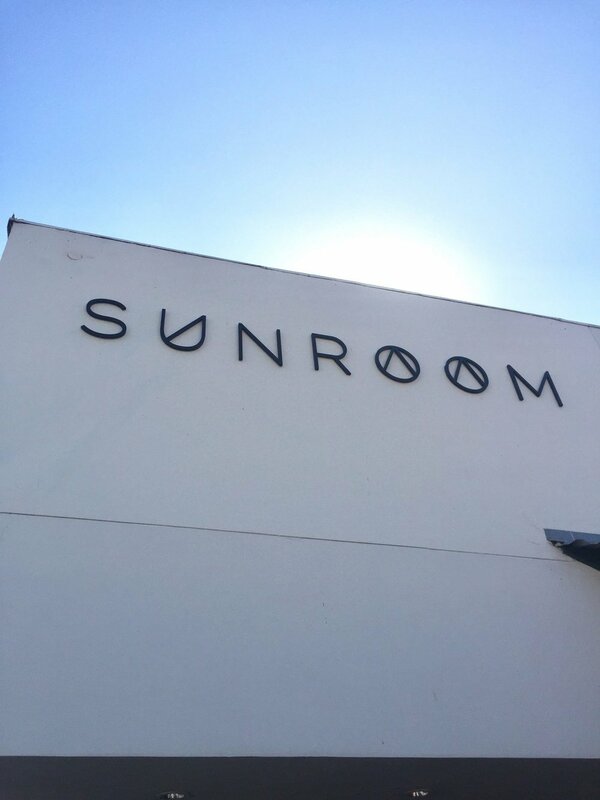 The Sunroom, which has a smaller store in Austin at the South Congress Hotel, has their main store here. The designers they stock are creative and unique. You will also find Madison LA, which has a ton of tried and true designers lining the walls. These “country marts” dot the LA area, and if you stumble upon one, you can count on a shopping experience that is easy and won’t disappoint...or so Robyn says, and based on how this trip went, I believe her.